One year of wheelchair life in Italy: What is happiness? 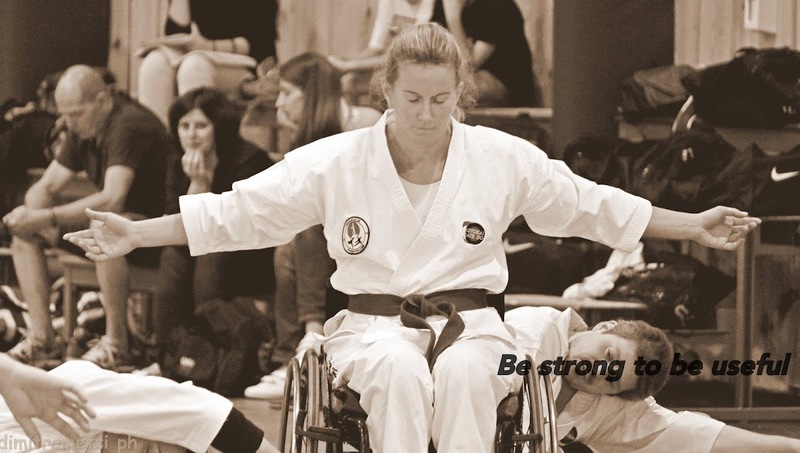 A new adventure has begun - I will spend a year of training martial art in wheelchair at my masters dojo in Trieste (Makoto dojo) and in Padova (Jin dojo), Italy. I am a Norwegian woman with an incomplete SCI (Th3), using a wheelchair in daily life and in training. I got my 1st Dan in Makotokai Wheelchair System in 2017, and the coming year I will focus on my body and mind to become stronger. OSU! When you have waited for more than three month and you thought you needed to wait a bit more, but then the doorbell ring and a technician come and says he had some time and he got me online! Hope to update you the next days of my time so far.... it has already been more than three months! Ci vediamo presto!